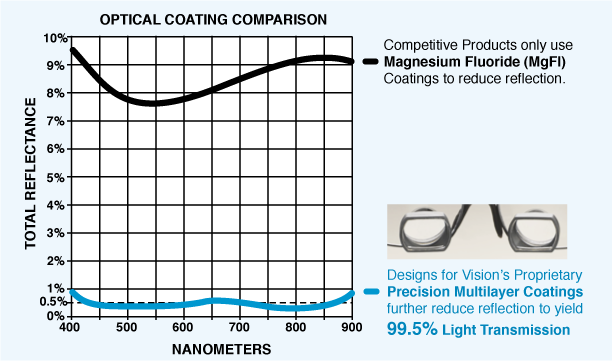 Precision Coated Optics – For Your Eyes ONLY! Designs for Vision's multilayer precision coatings utilize our proprietary process to transmit 99.5% of light entering the telescope (reflecting less than 0.5% of light), providing brighter and crisper vision than competitive products. Increased Light Transmission also produces enhanced Depth of Field.